Daily Fresh Foods’ Corn is planted and grown by its sister company – Mah Yong, which has been established since 1986. Mah Yong has over twenty years of experience in supplying high quality sweet corn to the business. 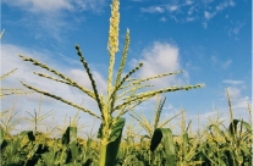 Our relentless research and development throughout the years have resulted in growing techniques that are conducive for the corn to be grown in our tropical climate and geographical environment. Mah Yong has managed to grow a unique corn species which is known as one of the best quality corns in Malaysia and is produced exclusively for Daily Fresh Foods Group. The company has the largest corn plantation in Simpang Renggam and Pontian in Johor, Malaysia. In view of the abundant peat soil at these areas, it is the ideal location for the cultivation of corn. The farm is able to churn out 275 tonnes of whole kernel corn monthly from the 810 hectare plantation site of which 80 percent is exported to overseas markets while the remaining 20% is for the local market. The company has also located another corn plantation farm in Indonesia, to support the rapid growth of the export market and demand. Started in 2005, the 1000 hectare farm located at Bogor and Bandung in Pulau Jawa Barat is able to produce 4000 tonnes of corn per year. The harvested corn is being exported to Malaysia and Dubai directly. The G20 species corn is abundant in this area due to the rich volcanic soil and the natural water supply from the highlands.